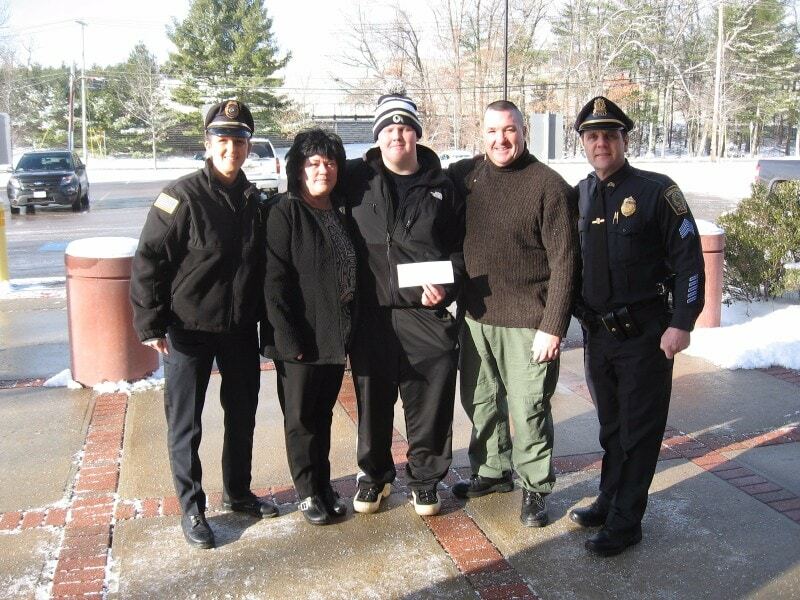 On January 18, 2016, Cops For Kids With Cancer went to the Foxboro Police Department and made a $5,000.00 donation the family of Donald Norton, a 15 year old boy from Foxboro who has Leukemia. In photo left to right, Deputy Chief Helena Rafferty Canton P.D. Pres CFKWC, Mother Marianne, Donald, Father DJ Norton, Sgt. Scott Austin, Foxboro, PD.